The days of cold calling and cold emails are numbered, and if you’re reading this after May 2018, hopefully those days have ended! The unwanted contact that frustrates, annoys, and generates angry customers is over, but what will businesses replace it with? Well, there are many options. Many, many, many (we could go on…) options. Today, we’re focusing on content marketing, but that in itself encompasses many things. All of these work towards generating you Inbound leads. These leads are good, because every Inbound lead is already warm. Without further ado, let’s get into it. Sounds good, if a little vague about what content actually is. Content is more than just words on a screen, content is anything that you distribute. That includes videos, infographics, blogs, social media posts, articles and images. Content marketing is used by almost everyone, 91% of B2B marketers employ it, as do 86% of B2C marketers. There are many reasons why these numbers are so high, but much of it comes down to the fact that many marketers consider this to be ‘the way of the future’. And who’s to say they’re wrong? Not us. Content marketing is a crucial part of our strategy and there’s plenty of research to back up this assertion. Content marketing costs 62% less than outbound marketing and is shown to produce three times as many leads. From the consumer’s point of view, content marketing is wonderful, because it gives them control over what, and how much, brand information they receive. Giving the consumer the power at this early stage pays off later, with 60% of people seeking out a product or service after reading about it. Of course, not all content is relevant to every buyer because buyers go through different stages before and after making a purchase. This is why different forms of content are utilised at each stage. What are the stages buyers go through? This is where the buyer is aware of a problem or need. They might need a new outfit for a party, or want to redo their website, or bathroom. Now, they’re considering their options. Do they want to buy a whole new outfit, or just a single item? If it’s their bathroom, are they going to retile and change the fixtures, or just repaint? If it’s their website, do they want to overhaul everything from the server up, or do they just want to make cosmetic changes? Finally, they’re deciding on which brand of dress to buy, which workman they’re going to have tiling their bathroom, or which web development firm to approach about redoing their website. So you see, the information that a person in the awareness stage is looking for is going to be different to what someone in the decision making phase is after. 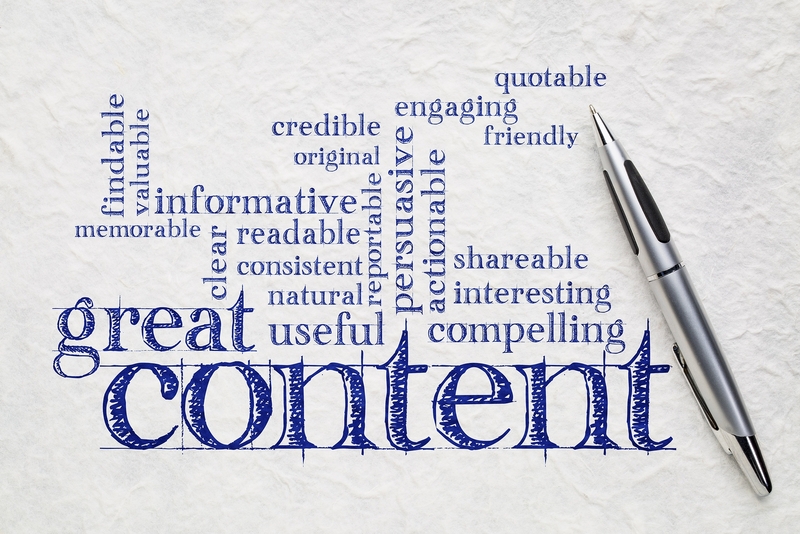 Why should you be tailoring your content? By tailoring your content to these different stages, you create a lasting impact with the audience. This helps you position your services and products as being impartial and of superior value. Informative (and relatively impartial) content in stages 1 and 2 helps prepare your potential buyer to make a purchase from you when they get to stage 3, because you’ve been informative and helpful! Content marketing not only moves your audience towards its intended target, it also helps boost your overall brand awareness. Position your company as a reliable source of information rather than just another pushy seller, and set yourself apart from the crowd. What content should you use at each stage? The type of content you’ll be creating and distributing varies on the stage, what is important here is to make sure your content is created with the buyer in mind. Steering them to your product/service should only come after providing some benefit to the buyer. There’s one more step. Delight. At My Social Agency delivering content for each of the main steps in the buyer’s journey is crucial; but we never stop trying to delight. By ‘delight’ we mean instilling that warm feeling inside our clients that prompts them to come back for more. It’s the friendly, prompt and meticulous service you deliver that will turn new business into regular clientele. The first way to get data on this is to simply ask your customers for it. Their honest and impartial reviews will help you move your service forwards. Then, ask your team what they think can be improved upon; every insight is equally valuable and you never know where the next great idea will come from. Ask them what can reasonably be streamlined without decreasing the value or quality of your product. Never overlook the human touch because these questions will yield answers that Google Analytics simply can’t. When you’ve done all of this, you’ll have a solid base for your content marketing moving forwards. We’ll get on to how to devise your content strategy on a different day. Until then, be sure to let us know what content marketing you’re employing, and get in touch for more information, or to hear about MSA’s services. After all, if it’s digital, we deliver.